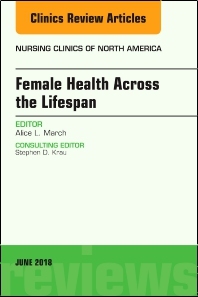 This issue has the unique focus of complete health care for the female--from birth to advanced age. Specific topics covered include the following: Ambiguous genitalia; Precocious puberty; Issues related to care access (consent, confidentiality); Teenage pregnancy; Menopause symptom management; Sexuality; Pessary care; Preconception planning; IPV and dating violence; Sexually-transmitted infections (include HPV and vaccination); Care of Women living with HIV/AIDS; Sexual minority care; High-risk pregnancy; and Lactation. The reader will come away with the current clinical information needed to provide care for girls and women of all ages.